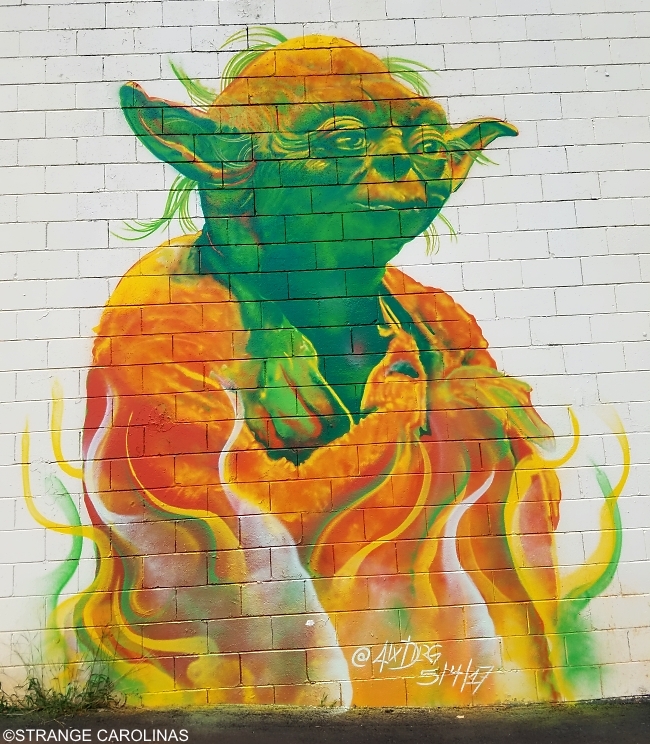 Not only does Charlotte's Abari Game Bar have the coolest name of all the video game bars we've visited, it also has the coolest murals. 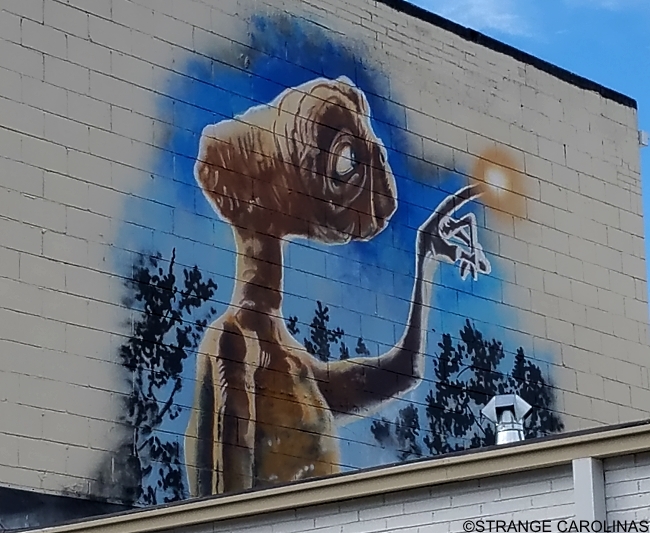 In addition to the excellent Ms. Pac-Man by the door, it also has huge murals of two '80s pop culture icons, courtesy of Alex DeLarge (Alx Dlrg). 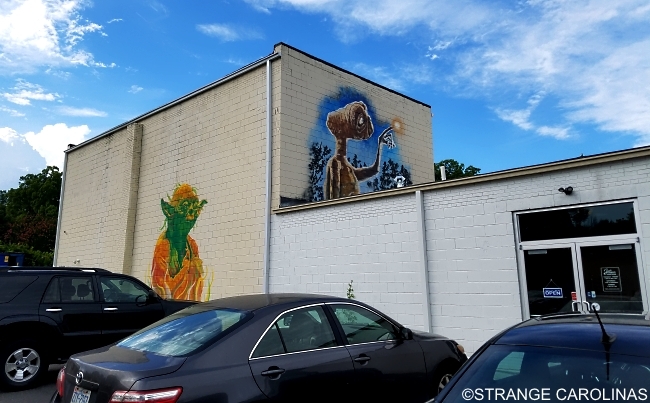 So yeah, if you're a fan of E.T., Yoda, video games, or pinball, head on down to Abari!